This is indeed an interesting and reflective series about our illustrious history with all its glories and tragedies. There are many moments in our history that have had profound impact in terms of transformations of societies. The revelation brought down by Prophet Muhammad (s.a.s) heralded a new phase in our eternal history and made the institution of Imamat apparent to the world at large, and provided the basis of major social cultural transformations throughout the Muslim World. The glorious Fatimid period enabled our Imams to directly influence the time through their governance, which brought about major social and cultural changes. The Nizari-Musta‘li schism and the initiation of Nizari period at Alamut resulted in the proclamation of ‘qiyama’ or resurrection by Imam Hasan ‘ala dhikrihi’l-salaam that elaborated a highly developed and complex teaching in response to the newly changed circumstances. To me, however, the establishment of the Satpanth tradition in the Indian Subcontinent is of particular personal significance because it provided the basis and context for the promulgation of the Ginanic tradition which is particularly in my heart. The Ginans have contributed greatly to my understanding of the principles and ethics of our faith and provide ongoing inspiration and sustenance of faith. Hazarat Imam Sultan Muhammad Shah once gave an analogy of the Satpanth mission as a plantation. In that context Pir Satgur Nur cleared the land. Pir Shamsh ploughed it, Pir Sadr al-Din watered it and Pir Hasan Kabirdin bore the fruit. From this perspective, I Wish I’d Been There when Pir Satgur Nur arrived in India and spread the faith through not only meaningful discourses but also by the demonstration of supernatural powers. The verses which then follow describe what happened when the King came to know of the incident. Amazed by the news, the King set out to verify the facts provided by the priest and meet with the Pir. The King arrived at the temple with his entourage, amongst whom was his great priestly monk Kanipa. The Pir placed his hand upon the King’s head and said: “I value your commitment to truth.” As the King had gone out of his way to witness the incident, it was the desire of the Pir to show him the true path. The King prostrated himself before the Pir. This aroused the anger of the monk Kanipa who made a challenge to perform a feat. The Pir accepted the challenge cheerfully and ordered an idol to fetch water from a nearby lake. The idol heeded by taking along with him a jug, filling it with water and in the process emptying the entire lake of water. This caused all the aquatic life to perish due to lack of water and aroused great concern amongst the people. The monk Kanipa was overwhelmed. The Pir then asked the monk to order the idol to empty the contents of the jug into the lake. As the monk was helpless in this regard, the Pir himself ordered the idol. The lake filled up and all the aquatic life was restored. Having been defeated, the monk tried a new challenge. He sent his wand high up in the sky through his latent powers and asked the Pir to bring it down. The Pir took off one of his sandals and ordered it to bring down the wand. The sandal flew with lightning speed and brought down the wand. Those who watched the feat were spellbound. Many such miracles were performed. Having seen these wonders, the King, the Queen and many other persons including the monk embraced the Satpanth tradition. I Wish I’d Been There to see their acceptance of the path of Satpanth (True Path or Sirat al-Mustaqim) at the hands of our revered Pir, and to have listened to the entire discourse that the Pir had with the pujari (priest). Fortunately the Pir’s composition, Putla, has captured these moments remarkably well . To this day, many individuals of all backgrounds visit the tomb of Pir Satgur Nur and pay homage to it. According to Tawarikh-e-Navsari, he was considered as the Chief Pir among all the Ismaili Pirs of the Indo-Pak subcontinent. Note: Please click I Wish I’d Been There Series – PDF to download the 32 fascinating accounts in the series in booklet form. Author’s note: The translation has been adapted from Ismaili Hymns from South Asia: An Introduction to the Ginans by Zawahir Moir and Christopher Shackle, 258 pages, hardback, published by Routledge (2nd revised edition, 2000). 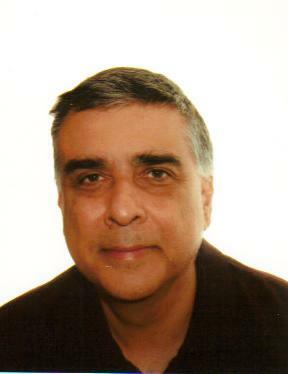 About the writer: Karim Maherali is a 1987 graduate of the Waezin and Teacher Training Program from the Institute of Ismaili Studies in London, UK. He is currently employed as an IT professional at the City of Calgary in Alberta, Canada. His academic credentials include a BSc (Honours) in Actuarial Sciences and a Diploma and MA in Education. He is a frequent contributor on Islamic issues on various blogs, Web sites and newsgroups. Is it possible to get the full text of the this ginan, Putla? Karim, this is just wonderful. However is it possible to give the date and place when “Hazarat Imam Sultan Muhammad Shah once gave an analogy of the Satpanth mission as a plantation. In that context Pir Satgur Nur cleared the land. Pir Shamsh ploughed it, Pir Sadr al-Din watered it and Pir Hasan Kabirdin bore the fruit.” Very interesting analogy. Thanks for this gem. It looks like the events that happened in the ginan above during the time of Pir Satgur Nur were mainly esoteric symbols, and should be looked at in this respect, not to be taken literally. We need someone to show us the esoteric meaning of this ginan. Thank you very much for this translation. I was just curious about time period and the era in which incident happened. It will give me chance to proceed with my reserach and enligtenement. Thanks indeed. Sorry for the late response….. According to late Alwaez Abualy A, Aziz in his book ‘A Brief History of Ismailism’, Pir Satgur Nur was born in 425 A.H. (around 1047 AD) and died in 487 A.H. (around 1009 AD). He came to India in 474 A.H ( around 1096). So the incidences must have occurred in the 13 years he was in India until his death. A thorough portrayal of a magnificent tradition. I heartily appreciate Mr. Karim Maherali for beautifully portraying the glorious tradition of ginan. The interpretations of ginan and dua play a vital role in the lives of Ismaili Muslims. I humbly request Mr. Maherali to keep us more equipped with the miracles and interpretations so that we can take the benefit of reading and and being inspired by them. Enlightening and amazing research. Deeply grateful to the author for this wonderful work. I hope the youth today avail themselves to these fine articles you publish. Their understanding of our faith will be enhanced. It is necessary for them to have knowledge in the religious field as much as they try to excel themselves in other branches of knowledge. A few minutes each day dedicated to reading – stepping away from Facebook etc. – will help them maintain the much needed balance. Nice Work! Keep it up!! Karim you have good knowledge which you share with others. I’m waiting for your next work. I have always taken a keen interest in our Ginans and their meanings. I have read Pir Sadardin’s and Pir Shamsh’s short biography in Gujarati in Ginan books. I wonder if there is any book available on biography of our Pirs, and also complete translations of all our Holy Ginans. Over the past few years a number of books with Ginan translations have been published. G. Allana of Pakistan published “Ginans of Ismaili Pirs – Rendered into English” several years ago; Tazim Kassam produced Pir Shams’s compositions in “Songs of Wisdom, Circles of Dance” (State University of New York Press, SUNY), the IIS published Dr. Aziz Esmail’s outstanding “A Scent of Sandalwood”, SOAS in London published “Ismaili Hymns from South Asia: An Introduction to the Ginans” by Christopher Shackle and Zawahir Moir. There are also some excellent works by Dr. Azim Nanji (The Nizari Ismaili Tradition) and Dr. Ali Asani (Ismaili Devotional Literature of South Asia). In The Assassin’s Song M.G. Vassanji narrates the story from the ginan Putla as explained so well by Karim Maherali of Calgary. We need such contributions to the study of Ginans. There is more to learn from Ginans than just recitations, meanings, history and context etc. We should also learn about the Pirs who understood the philosophy of Ismaili Tariqah and have tried to convey through the Ginans. Congratulations to Karim Maherali for presenting his work for the benefit of all. This series is full of surprises, as is this article by Karim. I wondered if there are other non-Ismaili historical records related to the series of incidents mentioned here, or is the Ginan the only available source. Yes, there is a book availbale in Gujarati “TAWARIKH-E-PIR” written by Pirzada Sadaruddin Dargahwaala from Navsari. You can find the same story in this book. Where would I find the Gujarati Book “TAWARIKH-E-PIR”? Our beloved Pir has explained the incident very well, and I think it holds great spiritual truths and values. Thank you and regards to the author, Karim Maherali.